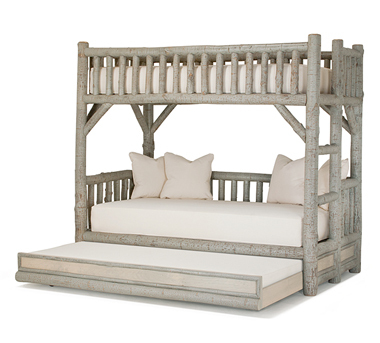 Bunk Beds and Trundle Beds from La Lune - Not Just for Kids Anymore! 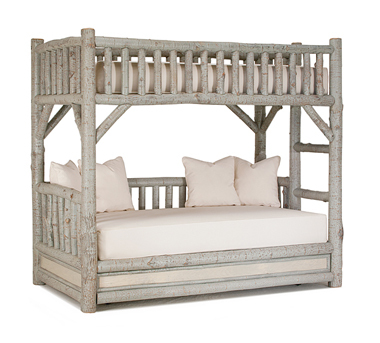 Posted February 19, 2014 by La Lune Collection & filed under Interior Design, Rustic Beds, Rustic Bunk Beds, Rustic Furniture. 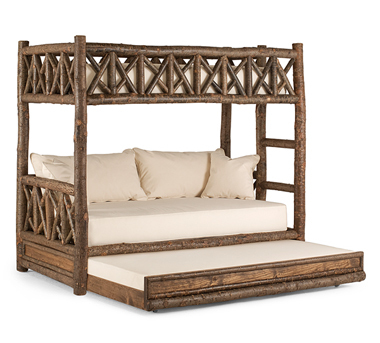 At La Lune Collection we are big fans of the bunk bed – and we know we’re not alone. In recent years bunk beds have demonstrated that they’re not just for kids’ rooms, dorm rooms, and summer camp anymore – as we, as a culture, downsize and recognize that smaller space can equal a better lifestyle, bunk beds are a proving themselves to be a stylish and functional answer to space saving concerns. Further, anyone who has slept in a bunk bed recently can attest to how much fun it is – a room full of bunks can be an entertaining place for the young, and the young at heart. Who wouldn’t want to tuck in for the night in the beautiful Bunk Bed #4255, which boasts a twin bed over a full-size bed? Another time-honored solution for making the most of sleeping space is the trundle bed. The trundle bed itself has an interesting history, and was designed originally for servants who remained by a family member’s side during the night. 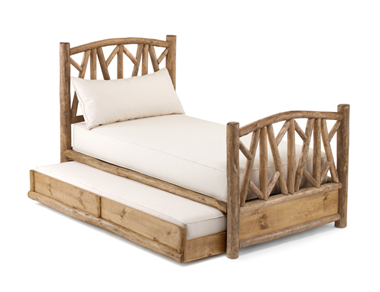 Today’s trundle beds are beautiful and practical, as evidenced by Trundle Bed #4038. And what makes better use of space than bunk beds or trundle beds alone? Bunk beds with a pullout trundle underneath, of course! The bunk bed with trundle, like Bunk Bed #4256 and Bunk Bed #4259 shown below, works especially well in vacation homes, or for families who like to have relatives and friends visit often. 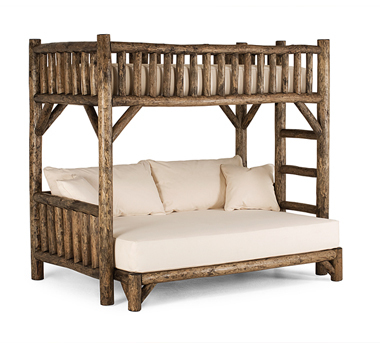 For more information about these bunk beds and trundle beds, and to view even more beautiful rustic beds, check out the entire collection on La Lune’s website!